Baker Memorial Library of Dartmouth College. 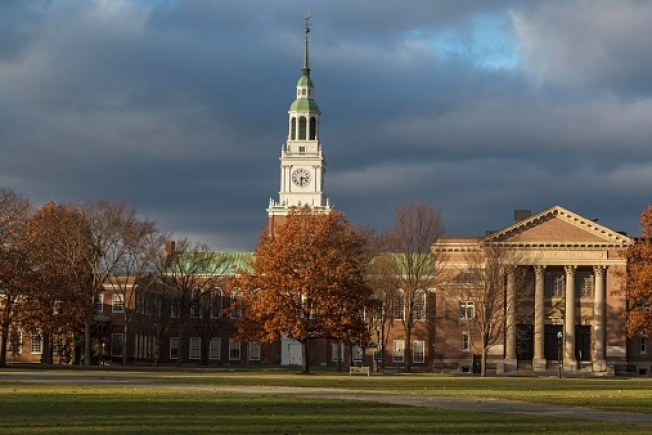 Dartmouth College says it has placed three psychology professors on paid leave and restricted their access to campus pending the conclusion of investigations into allegations of "serious misconduct." College spokeswoman Diana Lawrence said in a statement Wednesday that Department of Psychology and Brain Sciences professors Todd Heatherton, Bill Kelley and Paul Whalen are on paid leave. The college has restricted their access to the campus. The statement from the Ivy League school did not detail the allegations. It said it is engaged in a "thorough and impartial process that protects the rights of all parties and promote the safety of our campus community." Emails were sent to the professors seeking comment. An email to Heatherton generated an automatic reply saying he is on sabbatical and isn't monitoring his account until September 2018.